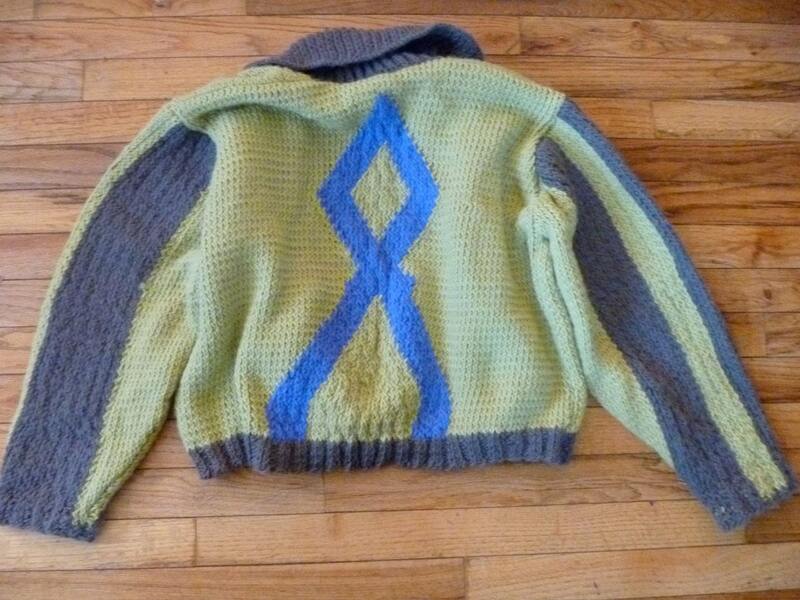 An original design cardigan knit by hand by Scott Torkelson. An abstract design in blue and green. 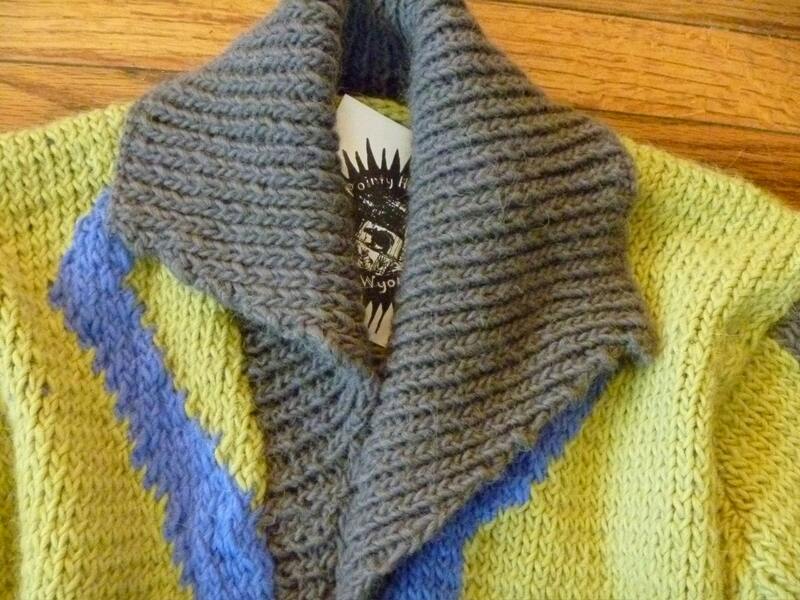 The yarn is Montera, a blend of 50%wool/50%llama. This one has no closures, it is meant to just fold over each side, if you like you could sew some kind of clasp on it, but no holes were put in as I designed it this way. 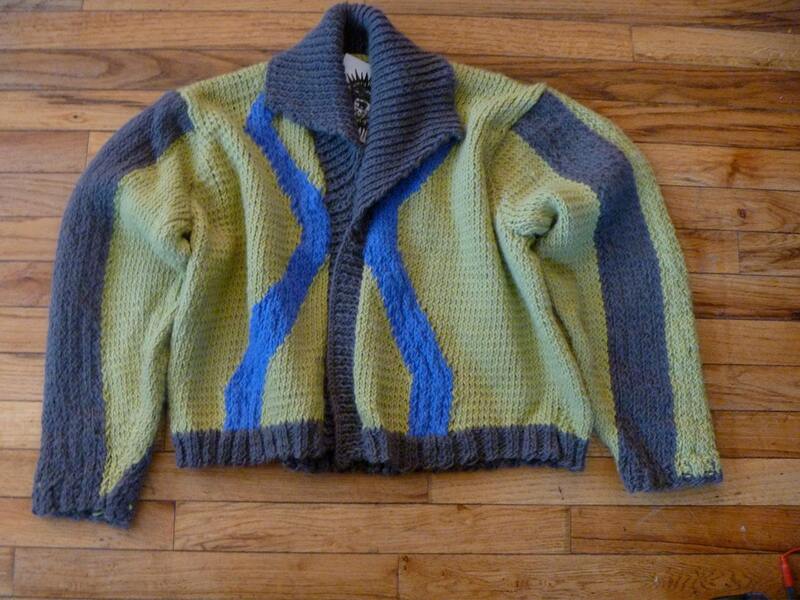 This cardigan has fitted sleeves. It is a womans medium to large, use the measurements to make sure it is close to sizes you already have, it was made without a pattern. 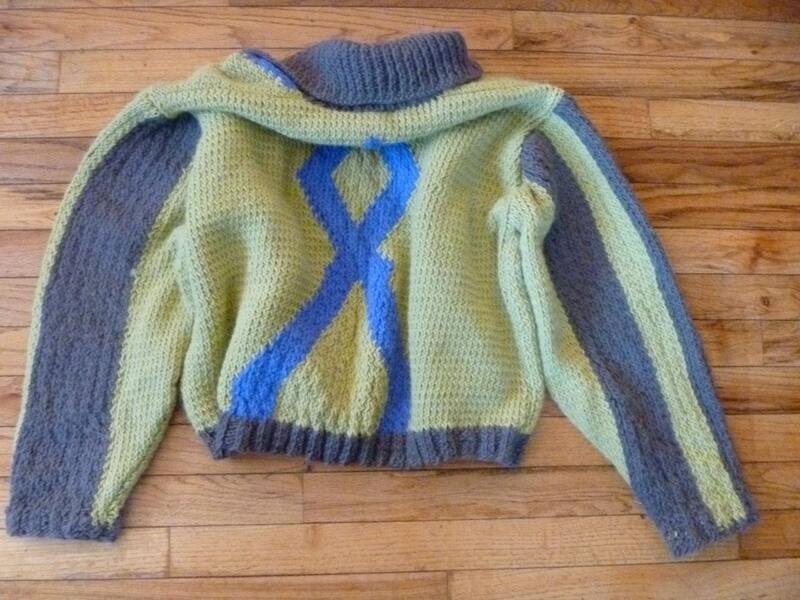 waist to shoulder 22", waist to underarm 11 1/2", armhole 10", width 24", neck is approx. 7" in back and 7" in front on each side. This ships with U.S.P.S priority mail. Expect 3-5 days delivery in the continental United States. I ship the same day as ordered if possible, but next business day for sure other than special orders.This is normally $300, but I am reducing inventory to make room for more.